In a Nutshell: The massive failure of Utopia forced MasterChef Junior onto the weeknight schedule for two short Tuesday cycles in 2014-15, where it saw a significant bounce over its season one Friday numbers (74 Plus) and actually outrated the summer's mothership MasterChef. Though many parts of Fox's fall sked have been even worse than last year, the network is still returning Junior to Friday, just as they promised at the upfront. Best Case: The weeknight exposure has made MasterChef Junior a much stronger show. It actually matches the Friday raw numbers from two years ago at 1.40, winning the hour even against an overachieving ABC and CBS. Worst Case: Fox is the one network where the reality staples are tanking, and MasterChef Junior will not be immune to that. It would've dropped somewhere in the low-20s like MasterChef even if left on a weeknight. But throw in the Friday move and it's down by nearly half to a 0.85. 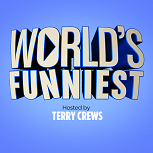 In a Nutshell: Fox threw on this Terry Crews blooper show (now shortened from last year's title: World's Funniest Fails) as cheap filler in the winter and was able to keep the Friday lights on to some degree. Technically, this fall run is the second half of season one. Best Case: This show did OK practically on an island last year. Now it's getting a good lead-in and a higher-viewed hour. It's up to 1.05, making Fox at least somewhat competitive in the race for second place in the 9/8c hour. Worst Case: Like other shows of its ilk, this show is very dependent on casual viewing, and Fox has no real base audience left. It got a 0.5 for a random summer episode and MasterChef Junior won't be that much stronger than the 5th Grader lead-in it had on that night. Down almost 30% to a 0.60. Likeliest: I think the casual viewing reliance is a positive, since it will have a good-for-Friday lead-in that seems like a good match. I'll say the average actually inches up to a 0.86. I'm assuming it just airs in the fall alongside MasterChef Junior, since I believe that is all that is ordered, so if it gets another run I'll grade this on the fall eps only.